Food science technicians perform (standardised) tests to determine the properties of food or beverage products. They may provide assistance to food scientists and technologists. Clean, maintain and set up laboratory equipment. 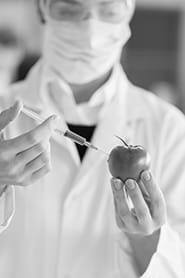 Conduct standardized tests on food, beverages, additives and preservatives, e.g. to ensure compliance with standards and regulations of colour, texture, nutrients, etc. Take measurements and readings, and compute product properties such as moisture or salt content, percentages of ingredients and formulas, e.g. using mathematical and chemical procedures. Record and compile test results, and prepare graphs, charts and reports. Examine chemical and biological samples, using microscope, to identify cell structures, locate bacteria, etc. Mix, blend or cultivate ingredients, e.g. to make reagents or to manufacture food or beverage products. Measure, test and weigh bottles, cans and other containers, e.g. in order to ensure hardness, strength and compliance to specifications. Develop and adapt laboratory procedures, under the direction of scientists, following technical developments in the area.